Hey y’all! Sorry for the radio silence. Turns out the actual moving part of this move has kept us pretty busy – not to mention two trips back out of state almost immediately after arriving in California (posts about those cities to come). We have been in Monterey for almost three weeks now, and just moved into our house yesterday. Our stuff won’t arrive for another five days, so we are making do with what we’ve got. I am trying very hard not to go to Target and BUY ALL THE THINGS until our stuff gets here, but I am SO excited to decorate and arrange and design and pretend I’m on an HGTV show. For the first time in my post-grad life, I have a YARD, and a non-galley kitchen, and an actual house. We (humans) are thrilled to have more room to live, and the dog is already loving her yard. The cat is thoroughly enjoying the multi-shelved closet until she decides it’s time to explore the rest of the house. Monterey has been good to us so far. There is a year round farmers market downtown, which is full of all sorts of awesome stuff. I needed to eat a vegetable, so we went and got some produce at last week’s market, and all of it was phenomenal. It’s a major change for me to go from meh-produce at Stop and Shop to buying produce from the people that took it from the ground. Speaking of which – did I mention our house has an avocado tree out front?!? Anyways. So we have done a bit of exploring, shopping, and plenty of eating in these parts already. Alvarado St. and surrounding areas in downtown has a TON of restaurants, including a poke place called The Poke Lab which might be my favorite place so far, Alvarado Street Brewing Company, a place called Bull and Bear Pub Whiskey Bar and Taphouse which tells you all you need to know about it, Fieldwork Brewing Company that is based out of Berkeley but has a beer garden in Monterey, a bagel place, a Jamba Juice, assorted Mediterranean and Persian and other international cuisines. There is also a Ramen restaurant that we keep managing to go to when it’s closed, but I will eventually get to try it. 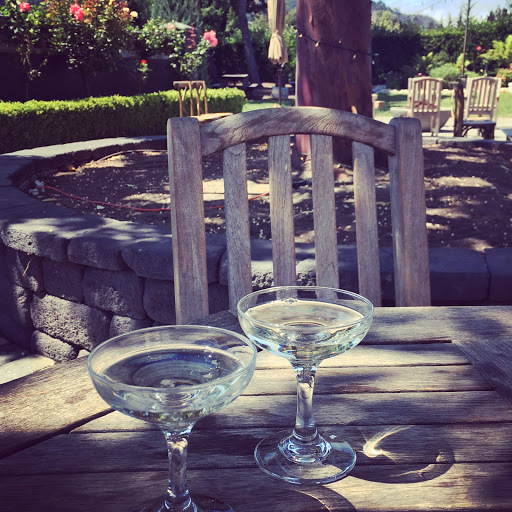 We have also spent a little bit of time in Carmel – the shopping area in Carmel Plaza, mostly, as well as a winery in the Carmel Valley. The scenery there is a.ma.zing…we drove along the scenic oceanside drive and the houses are incredible and the beaches are incredible. 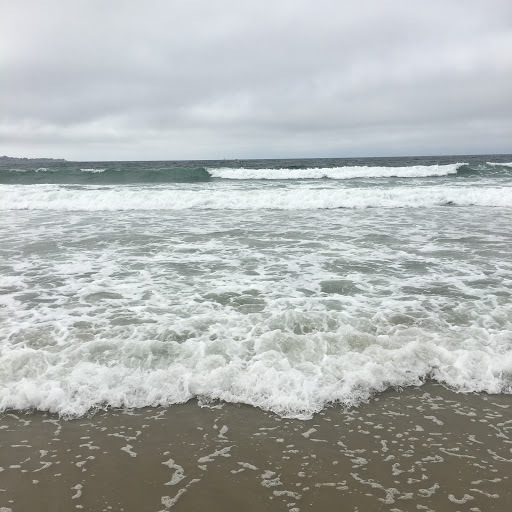 The Pacific is COLD, and the weather here is a perfect 65 and foggy/partly cloudy every day, so we haven’t spent much time doing the standard Beach Days that we got used to in New England. 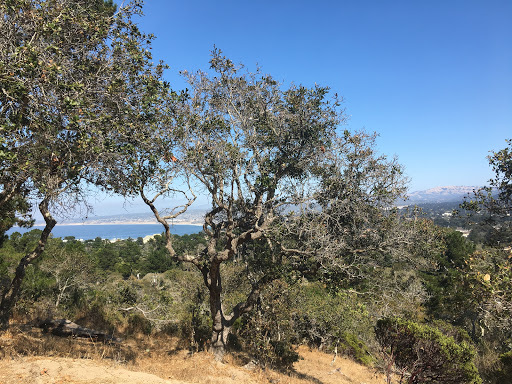 We did a short hike in a park outside Monterey. We only did about half of the trail, since we had other things to take care of that day, but I wasn’t upset about cutting it short after this view. Our first California winery experience! Folktale Winery and Vineyards in Carmel. Gorgeous setting, fantastic wines. And, of course, the Pacific Ocean. Posted on September 8, 2017 January 14, 2018 by DaniPosted in localTagged california, food, local, monterey, outdoors, wine, winery.